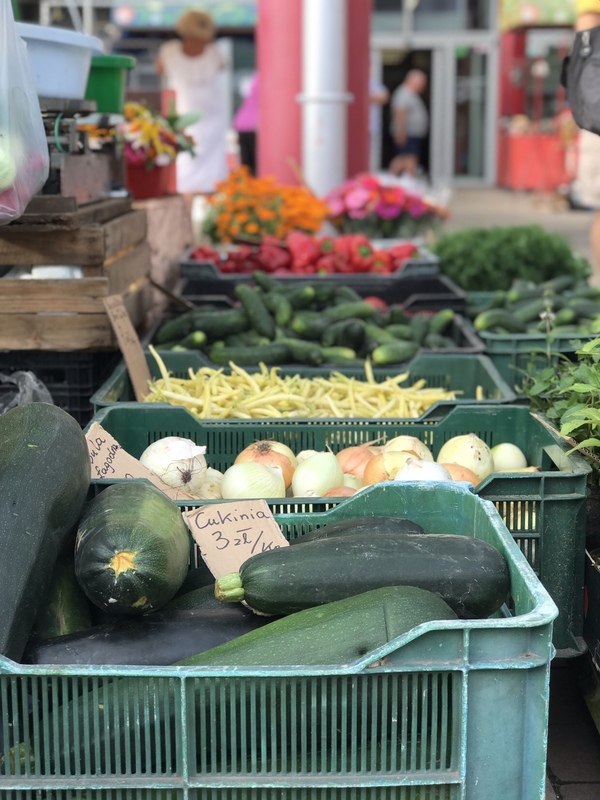 After arriving in Poland last week we have been busy exploring the Polish food scene – here are our top finds of the first week. 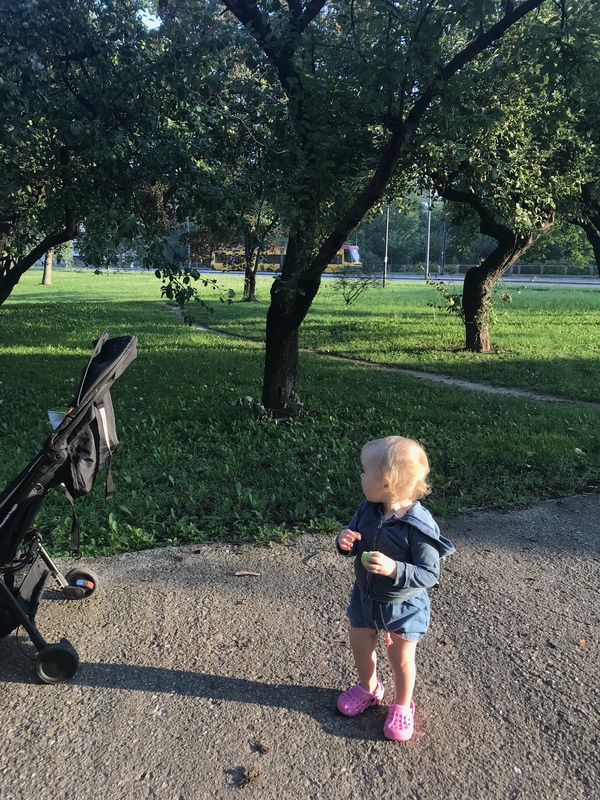 Summers in Poland can be quite temperamental. Just before we left, the weather here was not dissimilar to what we had in Sydney. Luckily it had warmed up quite quickly and it’s been pretty much nappy only / shorts and T-shirt weather since. 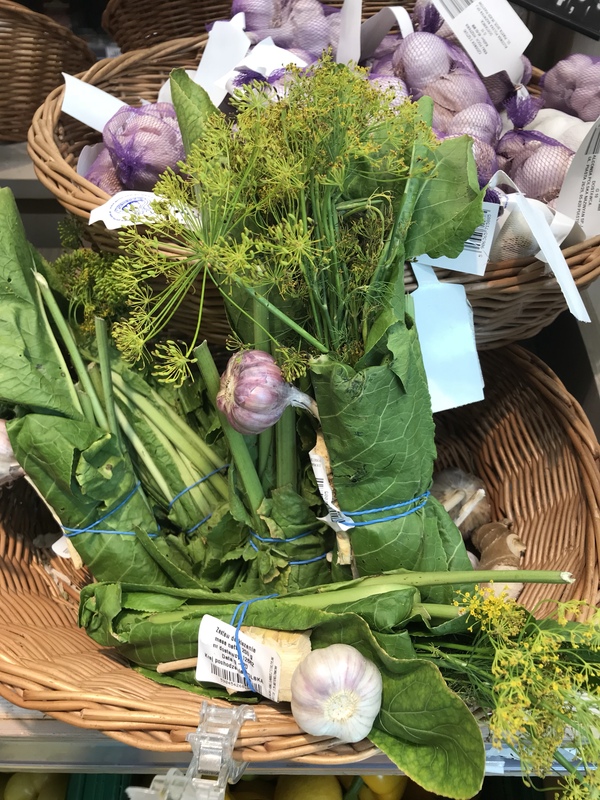 This has also meant plenty of fresh fruit, seasonal vegetables and foraged foods (such as mushrooms and wild blueberries) in full abundance. 1. 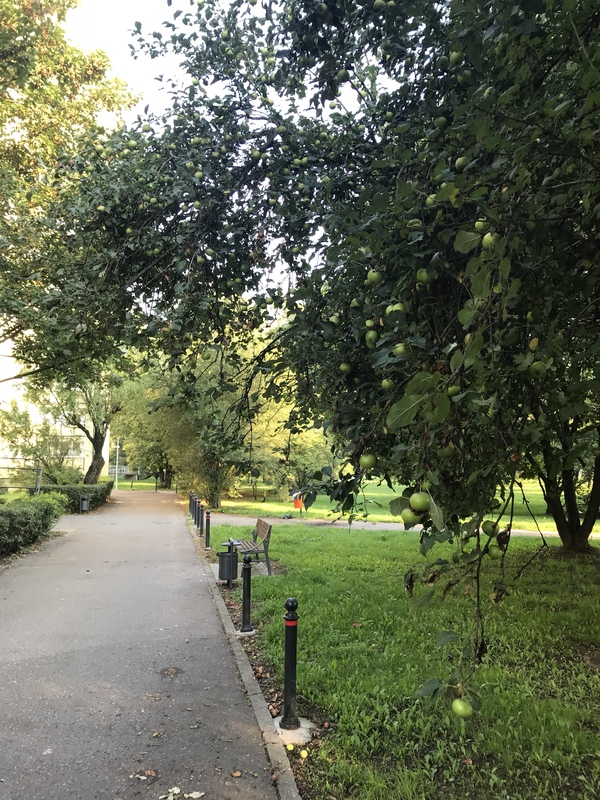 Fresh fruit growing in the streets and parks! Growing up I remembered mirabelle plum trees lining the local playground. We’d often pick those as kids and eat them straight off the tree (the best ones are always on the ground as they ripen and fall off the trees). I was excited to see they are still around and the area where we are staying is also plentiful in old apple and pear trees. 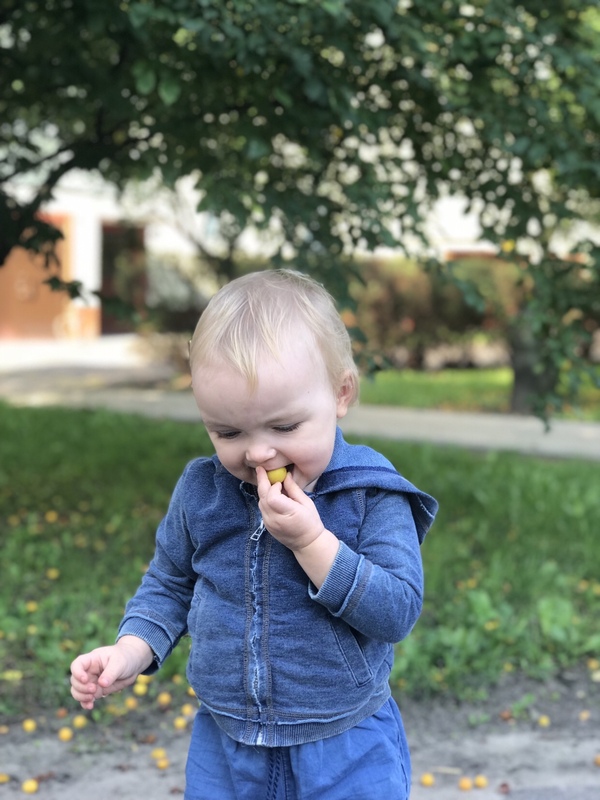 Mijka absolutely loves the little plums and whenever we walk past a tree she wants to have some. This is probably one thing I miss the most about Europe. Fresh food markets that are open daily with local growers selling seasonal produce and many older people subsidizing their pensions by selling fruit and mushrooms they’d foraged for. 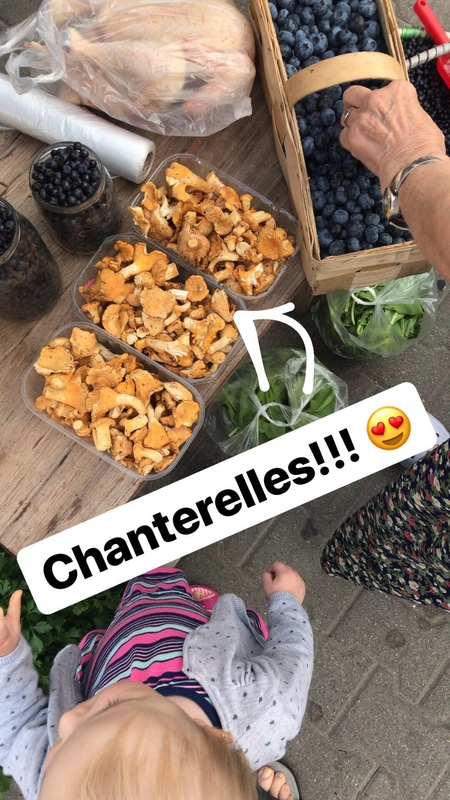 We were quick to pick up some fresh chanterelles to add to our scrambled eggs. Soooo tasty, Mijka loved them too! (And yes, that’s a fresh chicken in that photo!) 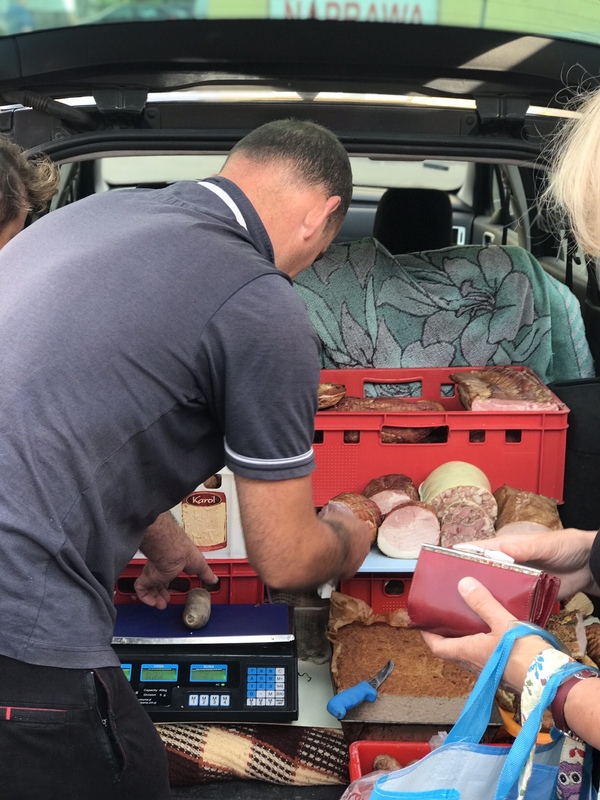 They even sell homemade cold cuts and roasted meats come cold cuts – right from the car boot! We got some roasted pork neck and rolled pork belly to enjoy on sandwiches. 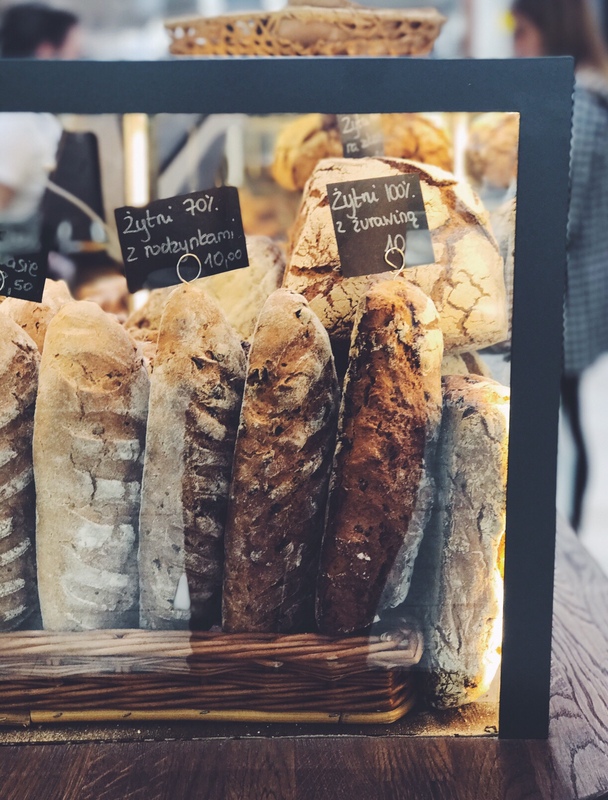 Poland has some of the most amazing sourdough breads you can find! 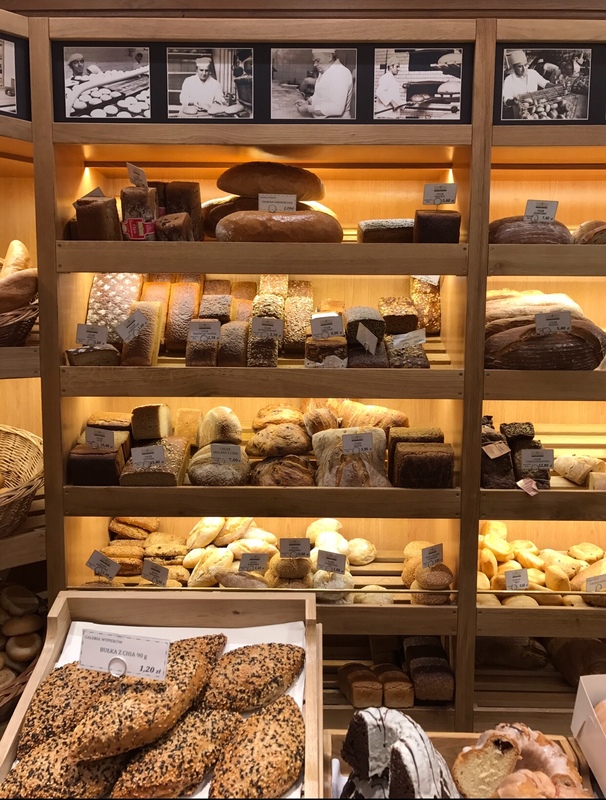 They seriously come in so many shapes and sizes and types it’s a bread lovers dream come true. There are spelt, rye and unbleached wheat varieties. Many are studded with grains, dried fruit and taste amazing. Dense, moist and utterly delectable. You can also buy them by the kilo or half loaves. It’s so good to see this artisanal way of making bread, just the way I remember it from when I was a little girl, thriving! This is another one of those quintessential summer food memories from my childhood in Poland. 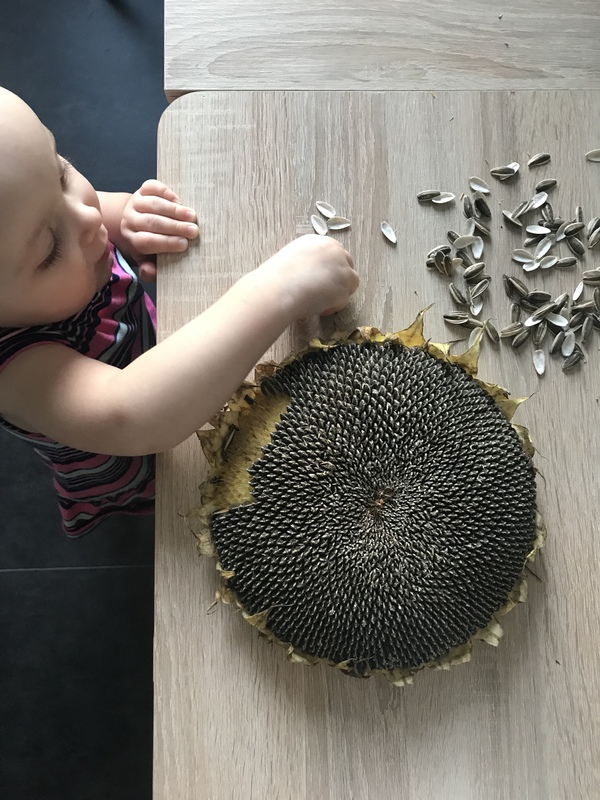 Many a summers have been spent sitting in the shade with a fresh sunflower in hand with seeds you had to husk yourself, one by one, moist and nutty in flavour. So good! You know those fruit stalls in the CBD where you can buy fruit? Well, there are plenty of them around the suburbs here too. Generally near bus stops and metro stations, you can pick up fresh produce on the go! 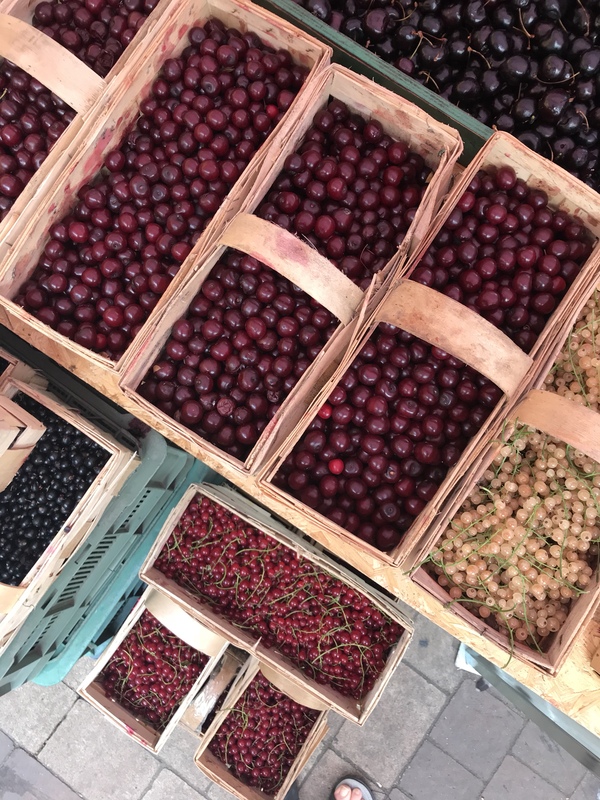 Cherries, gooseberries, tomatoes, apples and apricots. Snacking on real food becomes so much easier! 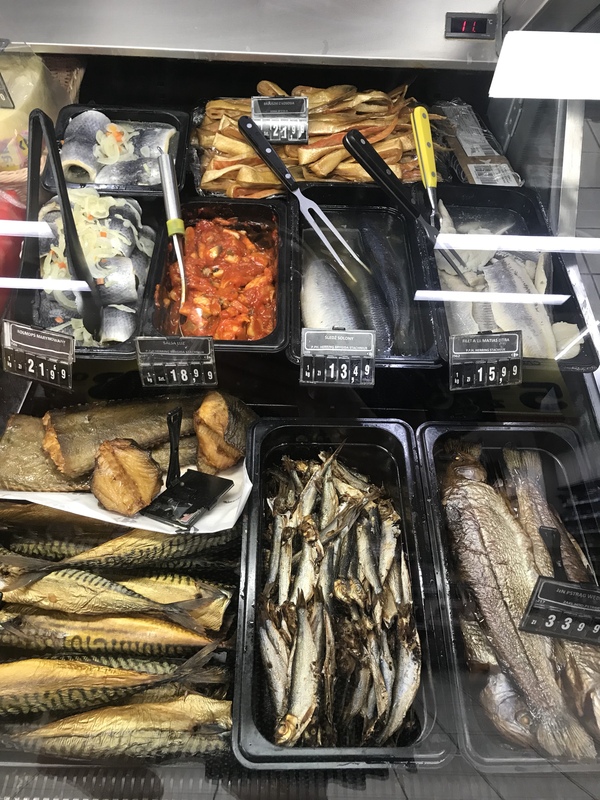 Most supermarkets and grocers have a big deli section dedicated solely to smoked and picked fish. Mackerel, herring, sardines. 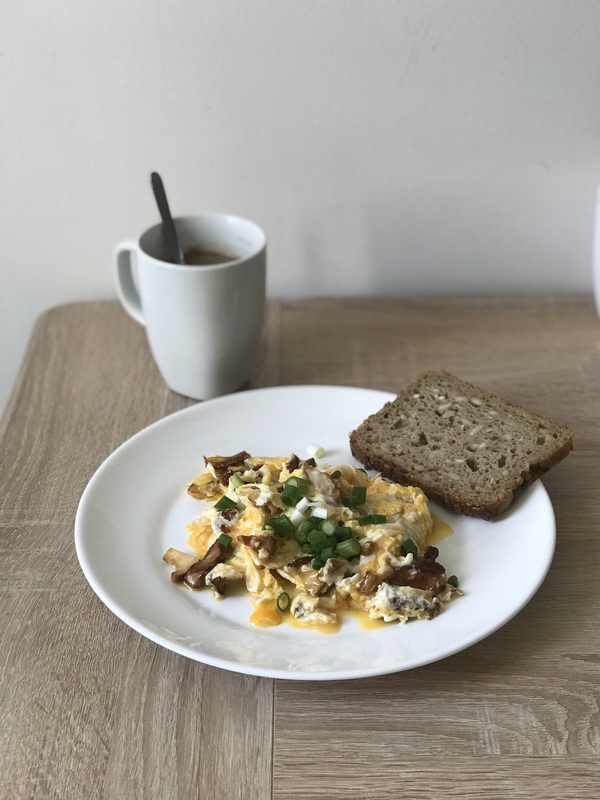 You can pick some up to have for breakfast or supper. Kefir has always been a popular drink here – I would often get one for recess or have one with supper in summer. There are so many different varieties and everyone drinks them! 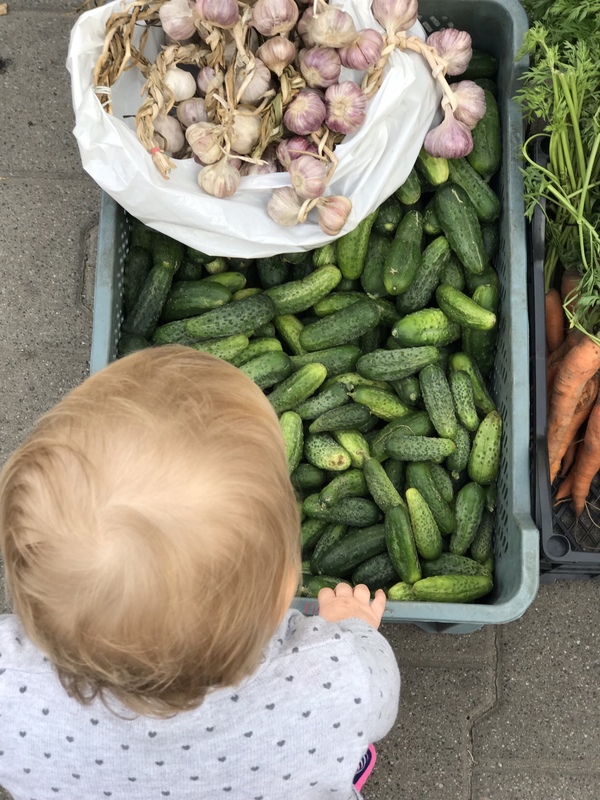 Fermented cucumbers were also my favourite after school snack – they are fermented in big barrels with a mixture of dill flowers, garlic, horseradish and vine leaves. 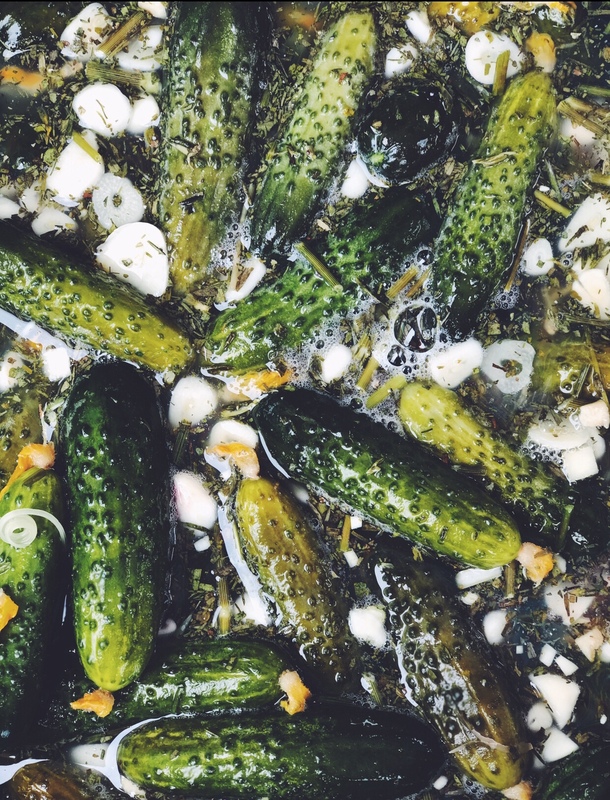 You can actually buy the cucumbers fresh and the bouquet of garnishes in most stores to make your own pickles for winter! Love this article! 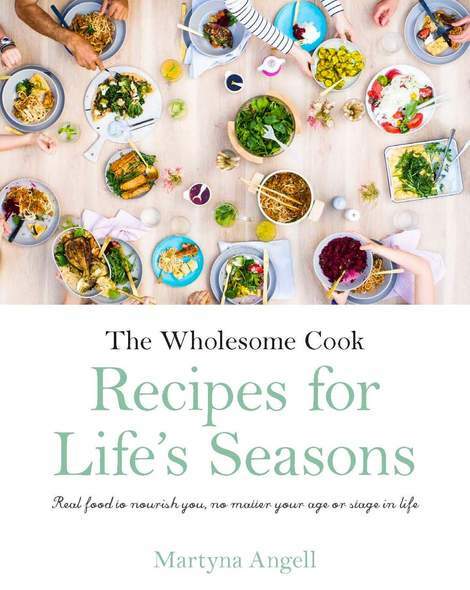 Ive been working on eating healthier and this really helps! Thanks for sharing! What a lovely article. This reminds me of the summers I’ve spent in Poland with my Father’s family. Where abouts are you? So many of these photos look like they could have come out of Gdańsk, but I realise it’s a small city, so probably not.